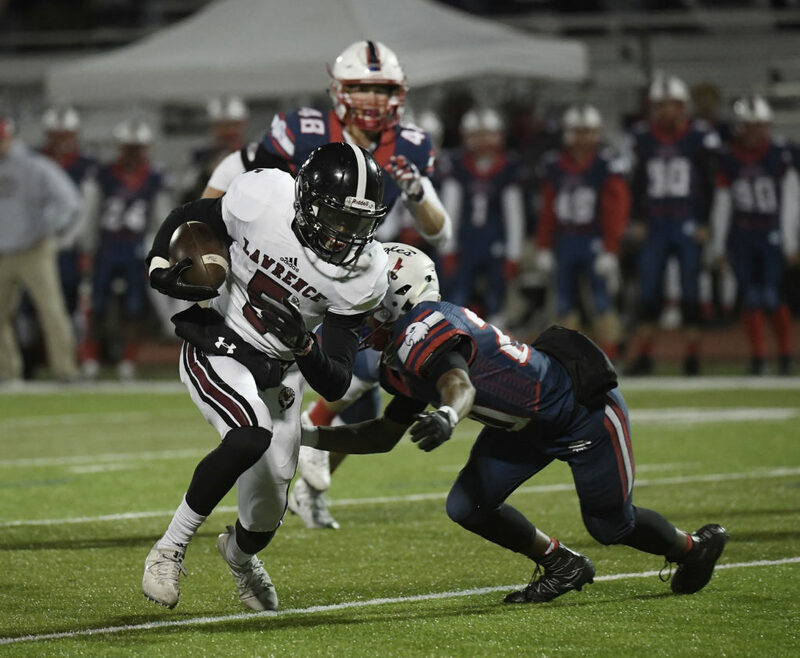 Lawrence High senior receiver Ekow Boye-Doe runs downfield after a reception Friday against Olathe North at Olathe District Activity Center. 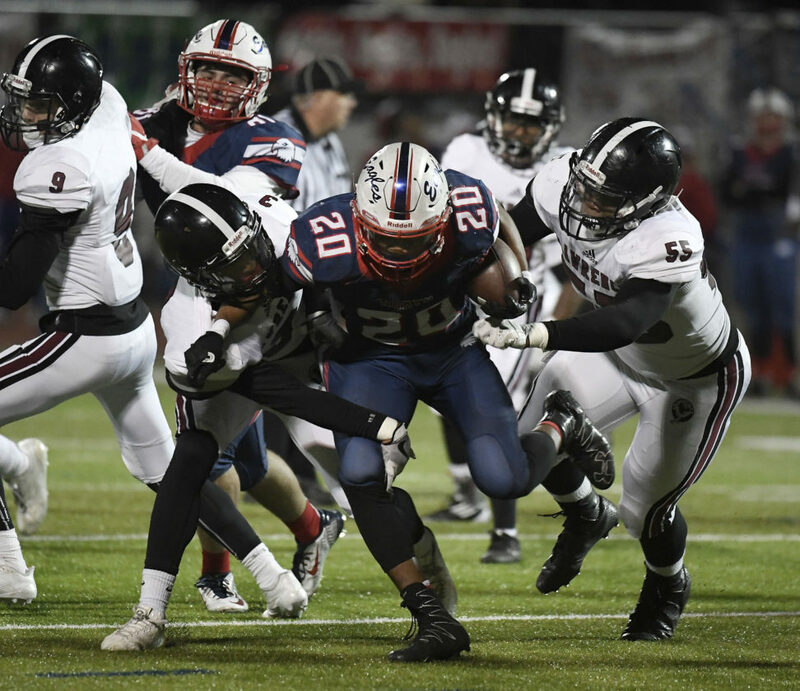 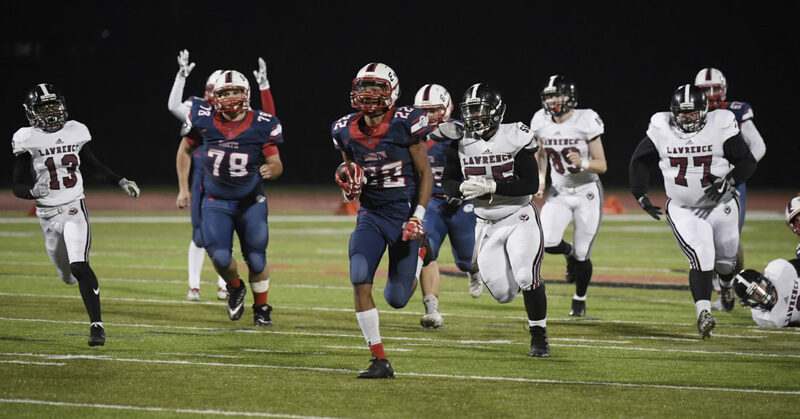 Lawrence High senior cornerback Jalen Dudley and junior lineman EJ Jewsome take down Olathe North's Jevon Parrish Friday at Olathe District Activity Center. 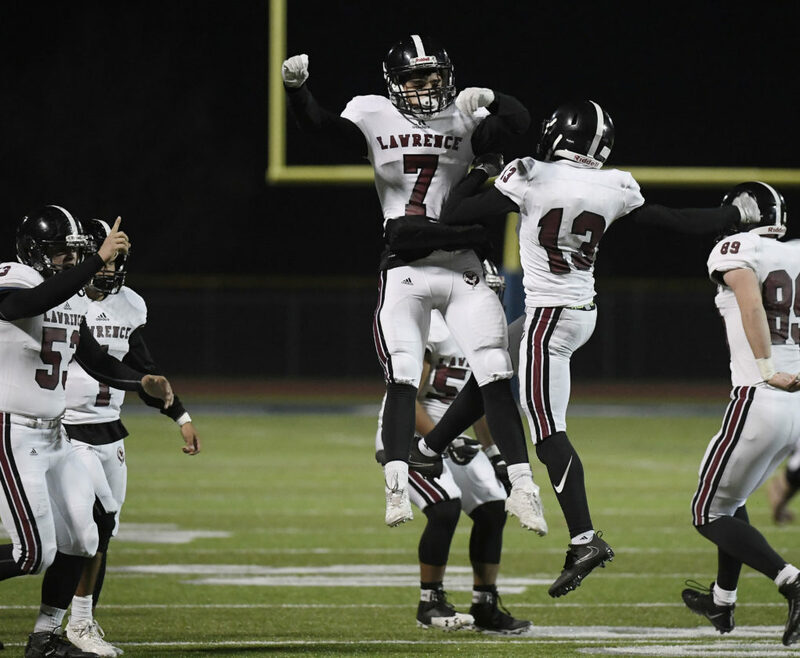 Lawrence High's Bryson Cummins celebrates with Deshon Lewis after a defensive stop against Olathe North on Friday at Olathe District Activity Center. 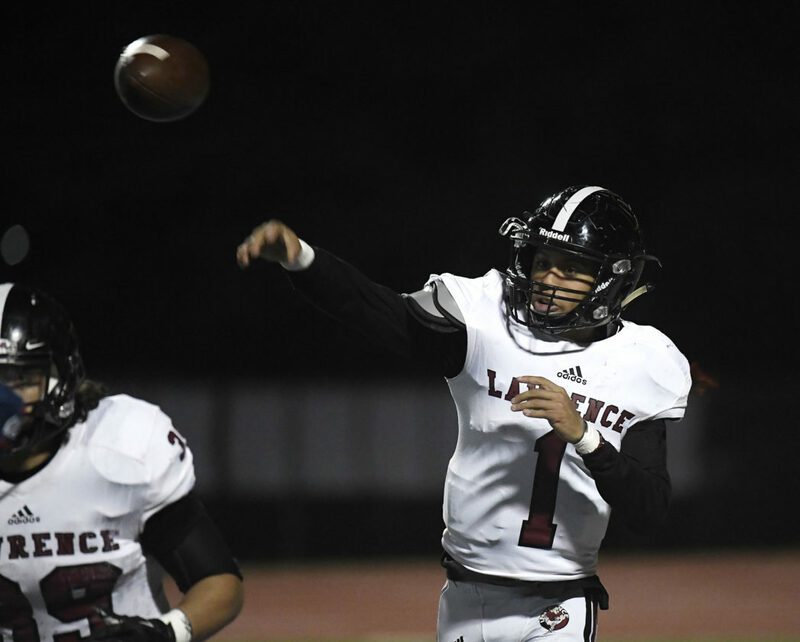 Lawrence High senior quarterback Dante Jackson rifles a pass during Friday's game against Olathe North at Olathe District Activity Center. 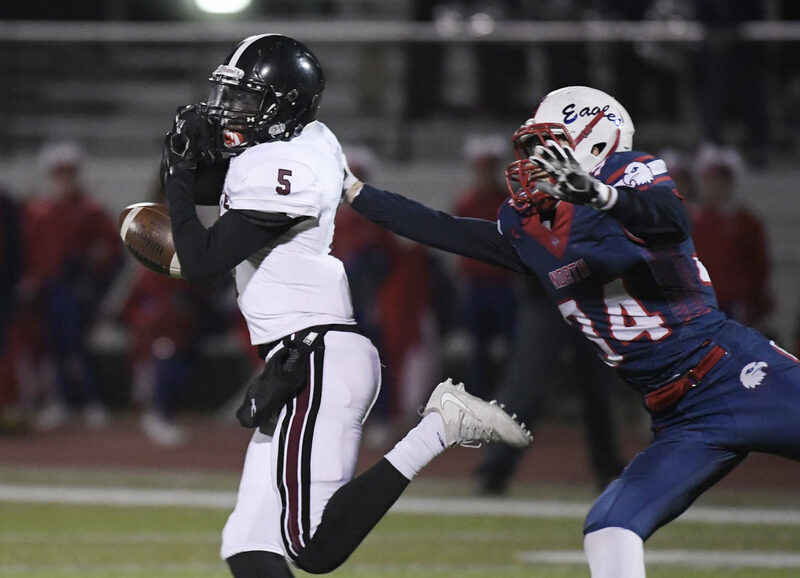 Lawrence High senior receiver Ekow Boye-Doe tries to hold onto a pass against Olathe North on Friday at Olathe District Activity Center. 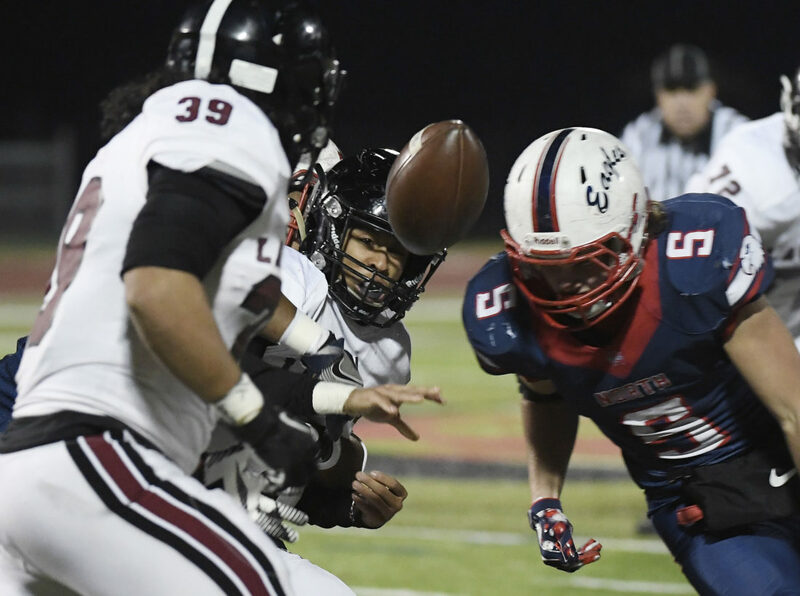 Lawrence High senior quarterback Dante Jackson pitches the ball to senior running back Angel Garcia against Olathe North on Friday at Olathe District Activity Center. 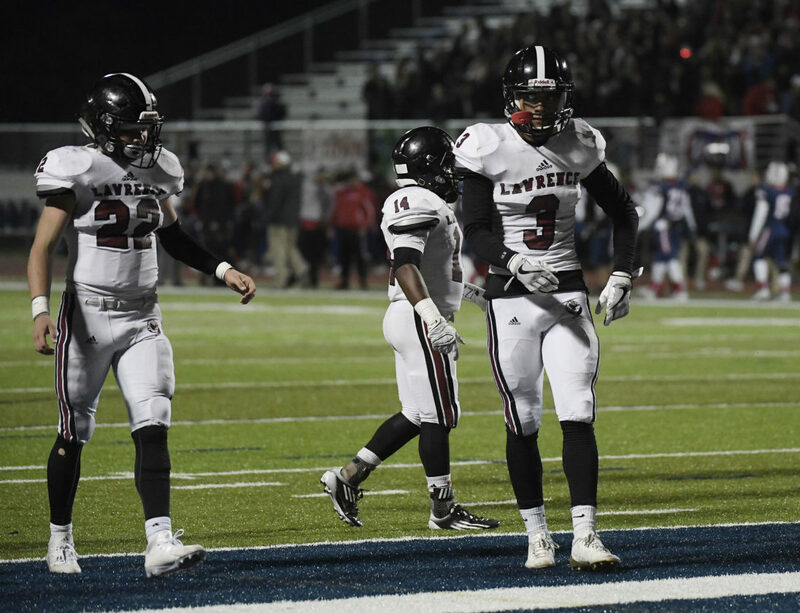 Lawrence High freshman linebacker Cole Mondi and senior cornerback Jalen Dudley look down after a touchdown was scored by Olathe North on Friday at Olathe District Activity Center.